As our Operations Assistant, Faima is responsible for the administration of our Apprenticeship Programmes. As our Operations Assistant, Faima is the main point of contact for liaising with all Apprentices once they have started with us. Her core responsibilities revolve around issuing, collecting and monitoring registration paperwork along with updating a wide range of databases. She is also responsible for issuing invitations to new learners for inductions and study days. Faima joined DiVA as part of the companies Get Creative! Traineeship programme aimed at supporting young people with little work experience to develop the skills they need to get a job. 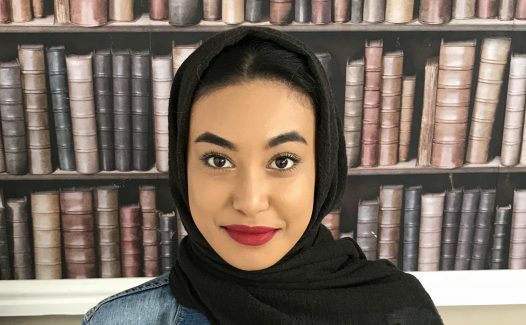 Following her traineeship at DiVA Faima progressed into a Level 3 Business Administration Apprenticeship developing a range of skills in communication, administration, events and marketing. Faima was so fabulous we could not let her go! She was offered a full-time role with us at the end of her Apprenticeship. DiVA Fact: Faima is one of the most organised people you will ever meet. Very little gets past her!